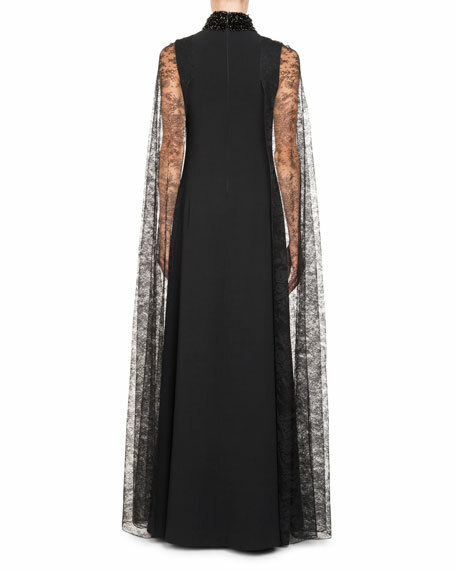 Givenchy evening gown in stretch cady. 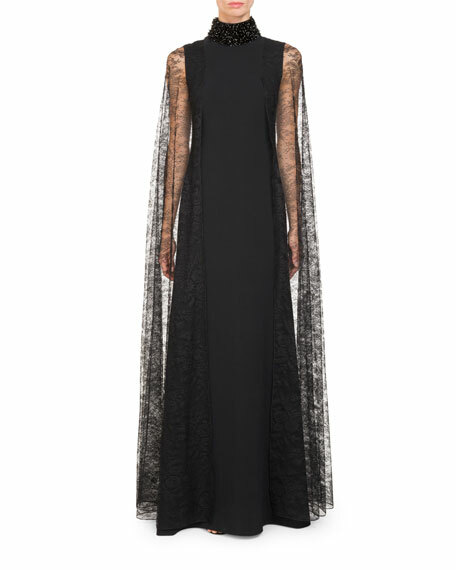 Lace cape sleeves drape to floor. For in-store inquiries, use sku #2337832.